With two separate modes of use and a compact design, this is one seriously smart baby seat. In swing mode, it features 5 different speeds and WhisperQuiet™ operation technology from Ingenuity that everyone in the house will appreciate. Baby will be resting comfortably surrounded by plush fabric, relaxing vibrations, melodies, nature sounds, and a toy bar. 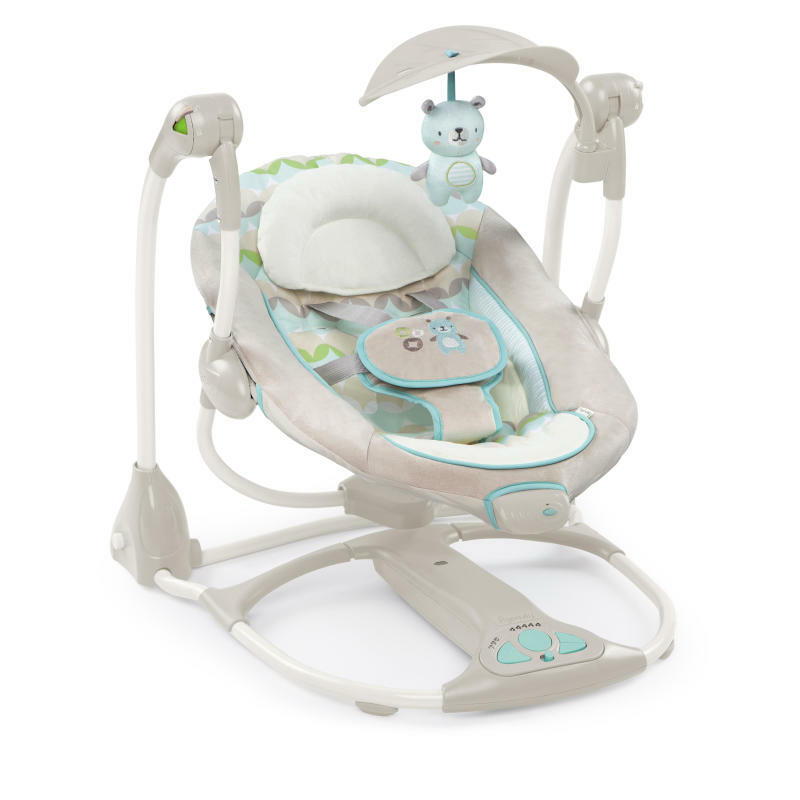 With one locking motion, the swing converts to a stationary seat, where baby can continue to enjoy the soothing vibration and sounds. With battery-saving technology and a frame that folds flat for storage and travel, it’s easy to see why this 2-in-1 swing is a terrific value. Dimension (in) 23.5" x 22" x 23"
Wash fabrics with cold water, gentle cycle. No bleach. Seat pad can be placed in dryer on low heat; air dry headrest flat. Wipe toys and frame clean.